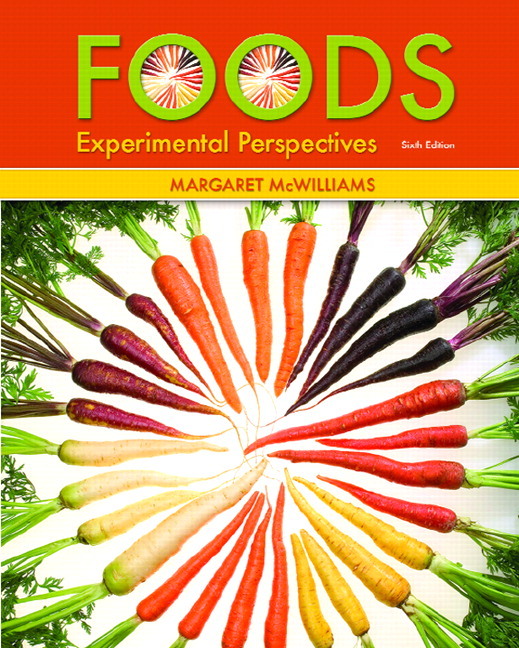 For all courses in experimental foods, food science, and related topics. 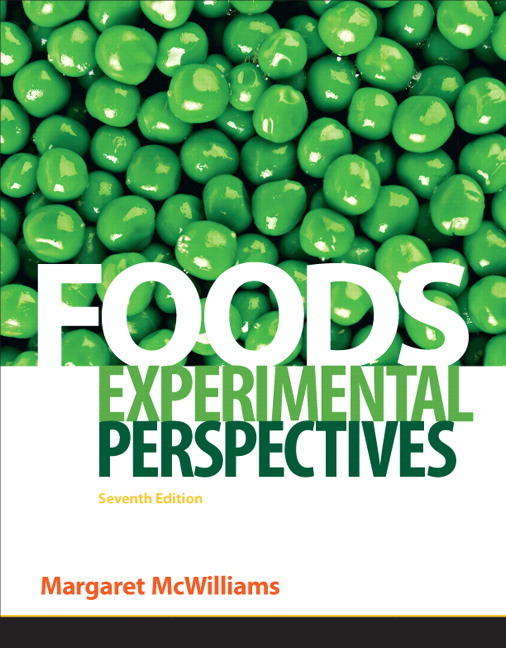 Foods: Experimental Perspectives, Seventh Edition will help students pursuing food-related careers broaden and deepen their scientific knowledge of food and its safe preparation. It clearly explains food science’s foundational principles and most important emerging technologies. The text first surveys the consumer marketplace, career opportunities, and basic food research techniques. Next, it discusses food’s physical aspects and preparation, and thoroughly explains carbohydrates, lipids, and proteins. Finally, it presents up-to-date coverage of food safety, preservation, and additives. Learning is promoted through “Food for Thought” boxes, photos, objectives, margin notes, definitions, charts, web links, and study questions. Updated throughout, this edition includes extensively revised coverage of food safety, GMOs, trans fats, alternative sweeteners, and much more.